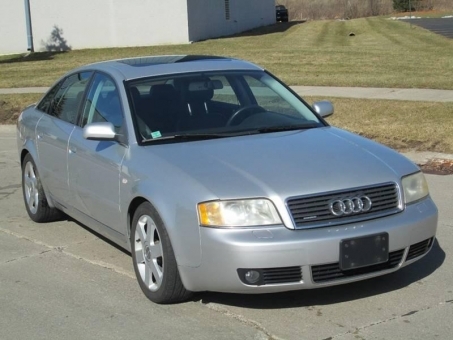 This A6 2.7t is very well equipped with Heated Leather Seats, Xenon Headlights, Power Sun/Moon Roof, Steering Wheel Controls and many more luxury features. The paint and body look great with just a few scratches and some minor damage on the bottom of the front bumper form parking. The grey leather interior looks like new. The sport wheels look great and tires have plenty of tread remaining. All services are up to date and almost everything is in proper working order. The gas gauge does not read properly but everything else works great. This vehicle was serviced by us for the past 8 years and has always been properly cared for.